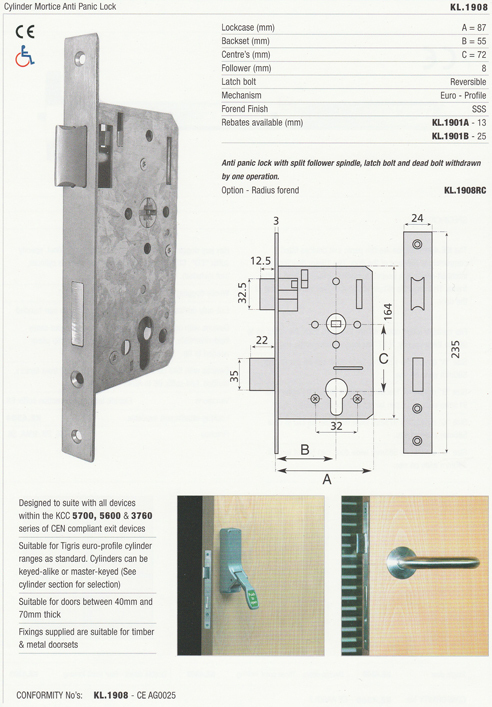 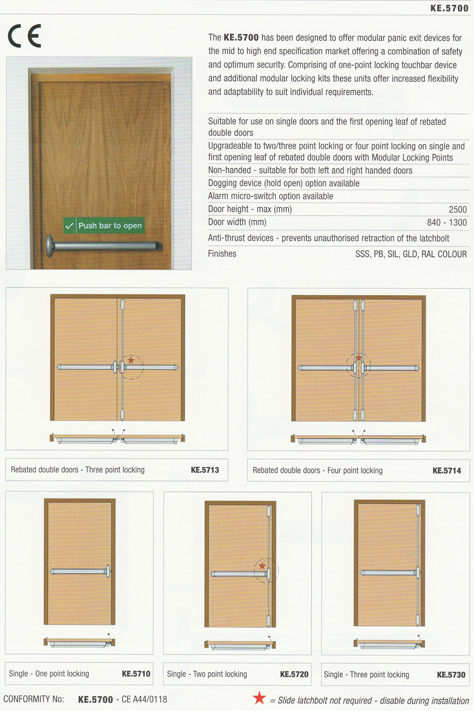 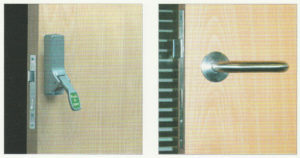 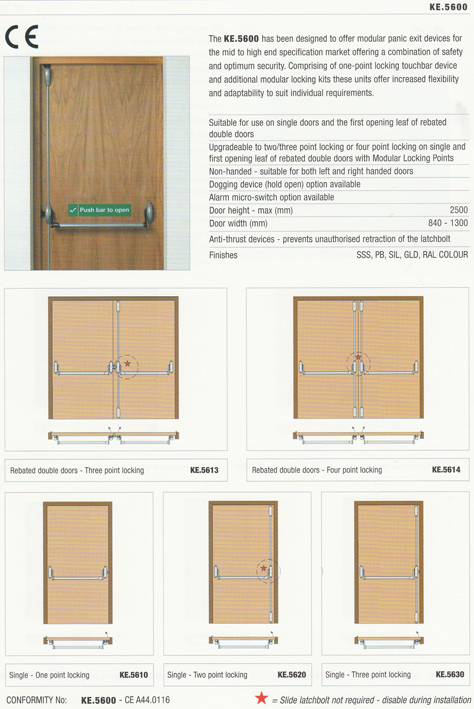 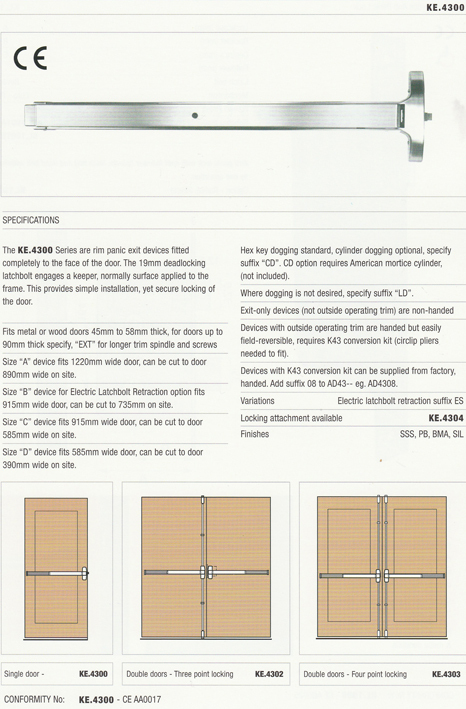 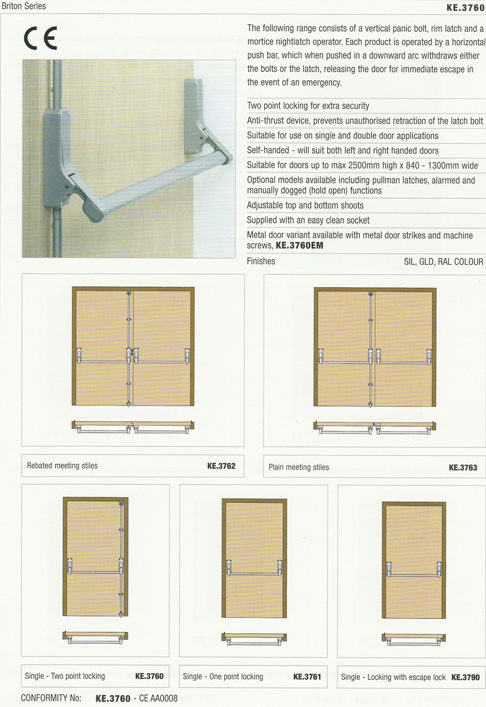 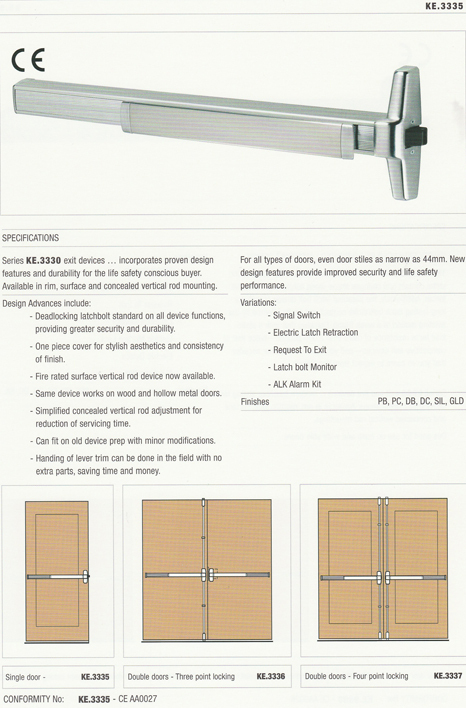 Designed to provide immediate escape at any time while also providing a high level of security from outside intruders, KCC offers a large range of exit hardware for the mid to high end specification market. 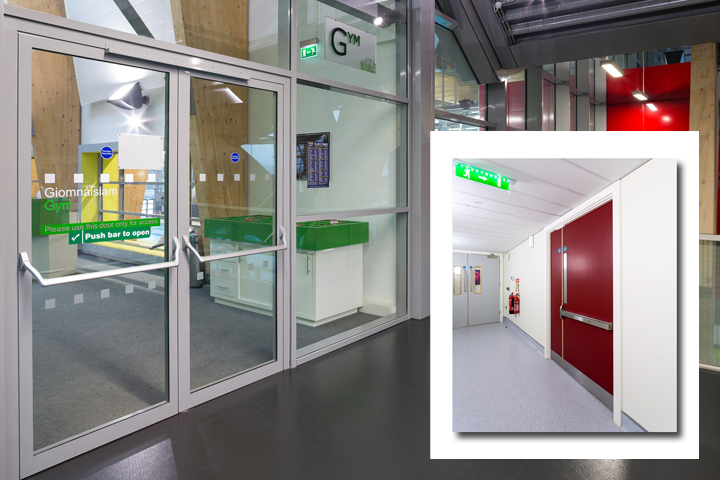 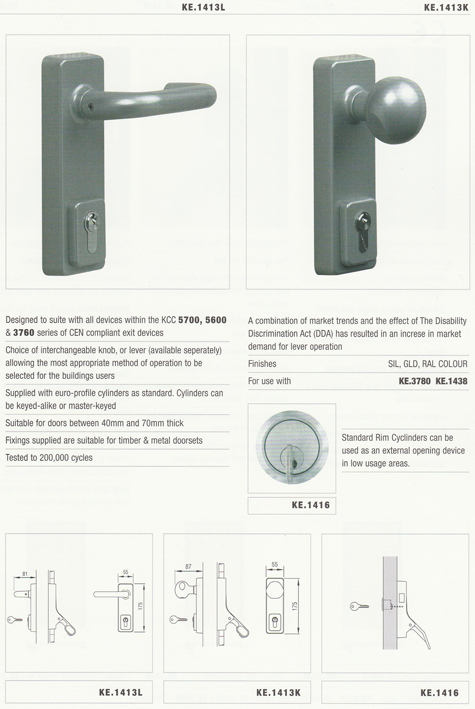 KCC’s range offers a combination of safety and optimum security and carries the CE mark, indicating that the products have been independently tested and assessed to the very latest European standards EN 1125 and EN 179. 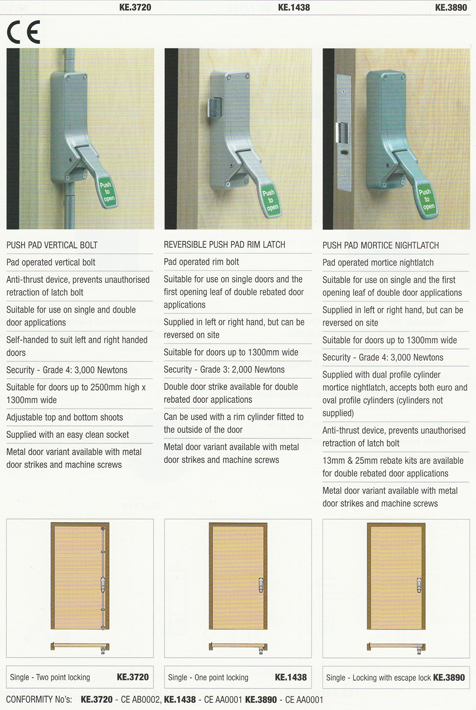 Every new build or replacement exit hardware is required to comply with European safety legislation within the Construction Products Directive. 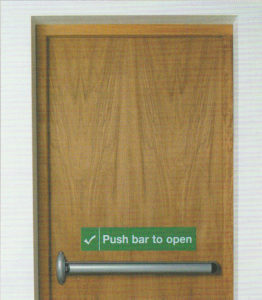 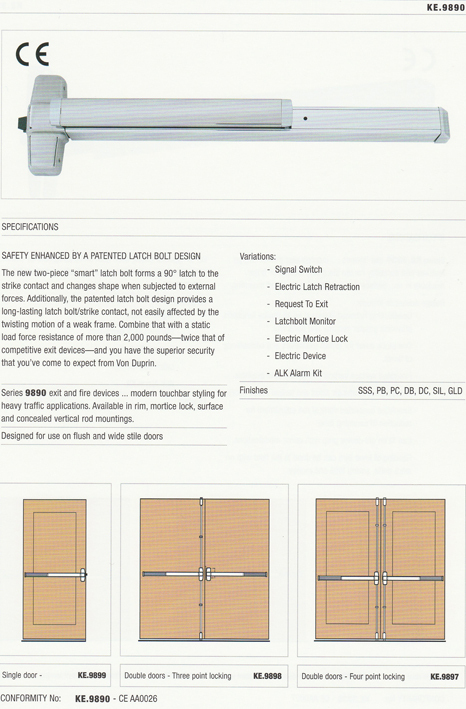 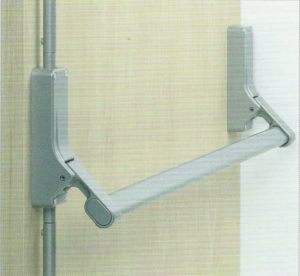 Please click here for information on the Industry Standards governing Panic and Emergency Exit Hardware.